3 lies about work that have been damaging your career for years Are you using any of these 100,000 worst passwords for cybersecurity? 6 ways nice people can master conflict 7 ways to establish a culture of mindfulness in the workplace What’s the best way to guarantee a productive work environment? Work with people who do this You consume 92 extra calories a day by not doing this one simple thing If you do this on your resume, there is a 79% chance you will not got hired Are you using any of these 100,000 worst passwords for cybersecurity? How to use soft skills during an interview to land your dream job How playing sports can help you get ahead in your career Achieving work-life balance just another stressor for stressed-out workers This is exactly how long your subject line should be if you want to get a response What’s the best way to guarantee a productive work environment? Work with people who do this The downside of having attractive coworkers If you do this on your resume, there is a 79% chance you will not got hired Are you using any of these 100,000 worst passwords for cybersecurity? 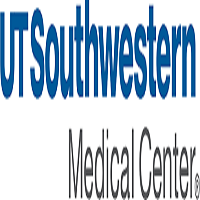 The University of Texas SouthwesternMedical Center, Department of Surgery, Division of Pediatric Surgery is currently recruiting for a faculty member at the Assistant Professor level. Applicant must be Board Certified in General Surgery, have completed a Pediatric Surgery Fellowship, be Board Eligible or Certified in Pediatric Surgery, and be eligible for a Texas Medical License. Successful candidates will be committed to patient care, resident, fellow and medical student education and scholarly activity that advance clinical medicine. Candidates will be expected to participate in the clinical practice and teaching programs at Children's Medical Center, Clements University Hospitals, and Parkland Memorial Hospital. Educational responsibilities include the clinical training of pediatric fellows and general surgery residents. A commitment to basic or clinical research is essential.